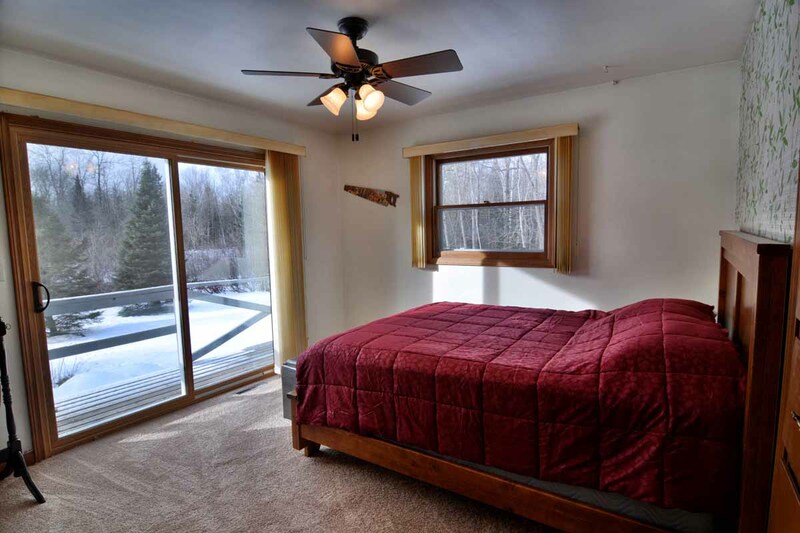 Nightly Rates: $110 for first 2 people, $25/night each additional person per night. 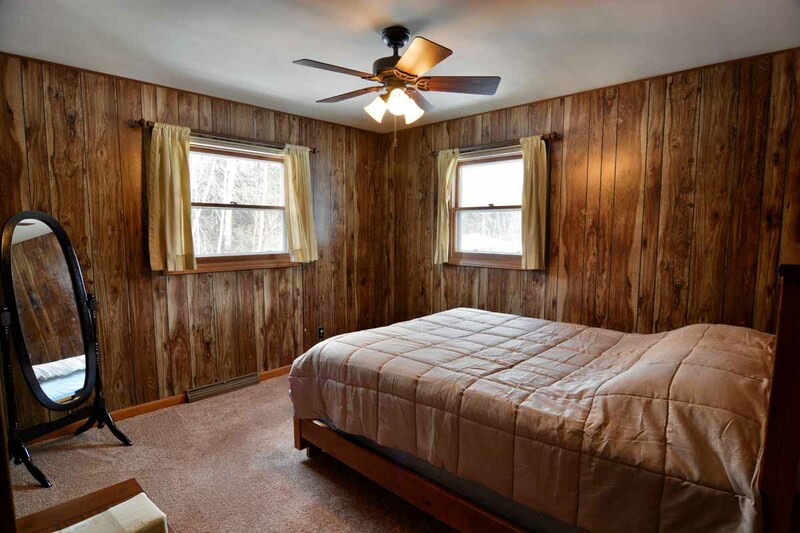 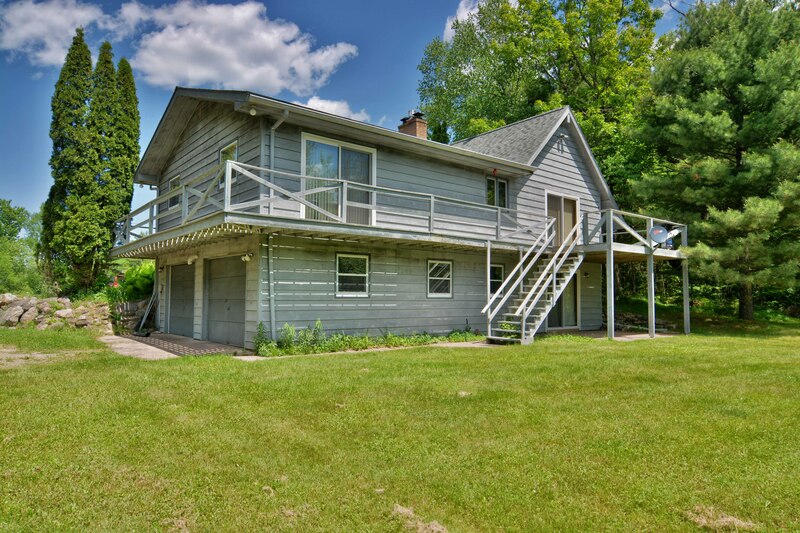 3 Bedroom Vacation Rental on Chippewa River in Clam Lake, WI! 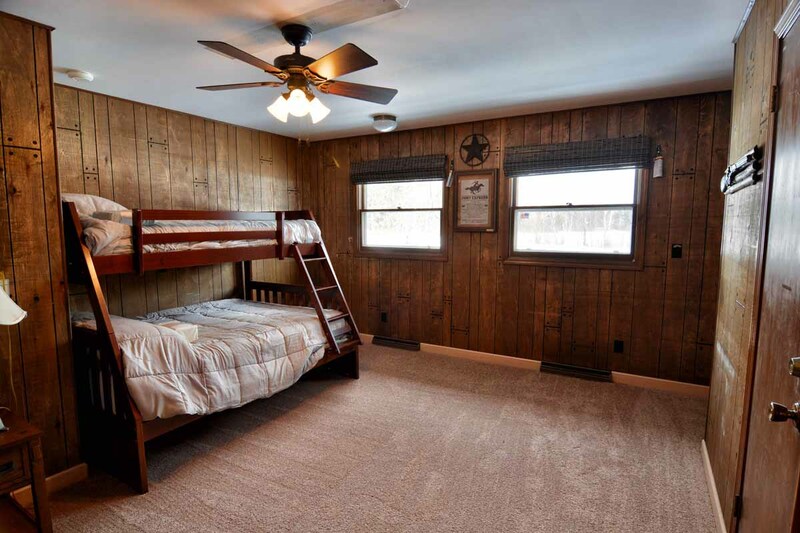 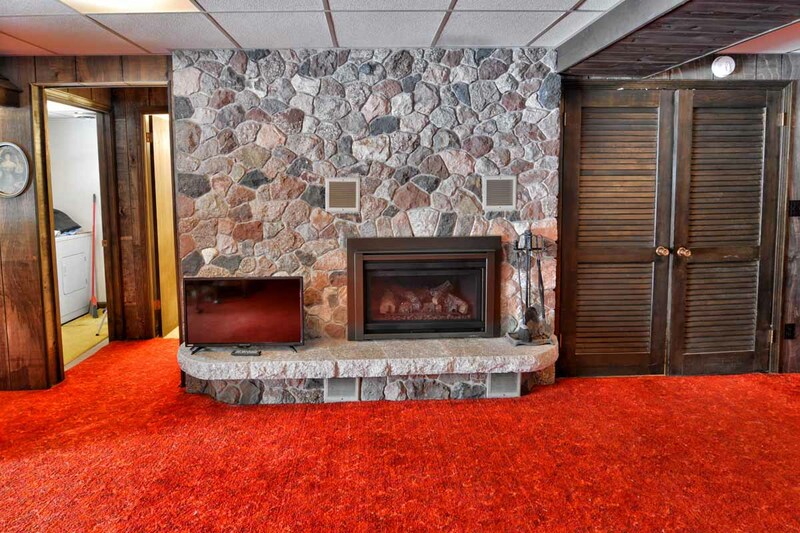 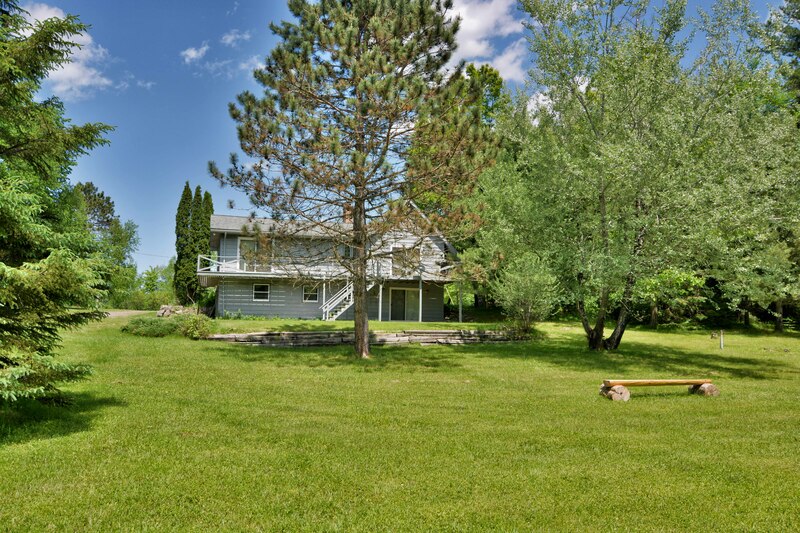 The Pony Express Lodge is a three bedroom, 2 full bath vacation rental located conveniently on the snowmobile trail and within walking distance of downtown Clam Lake. 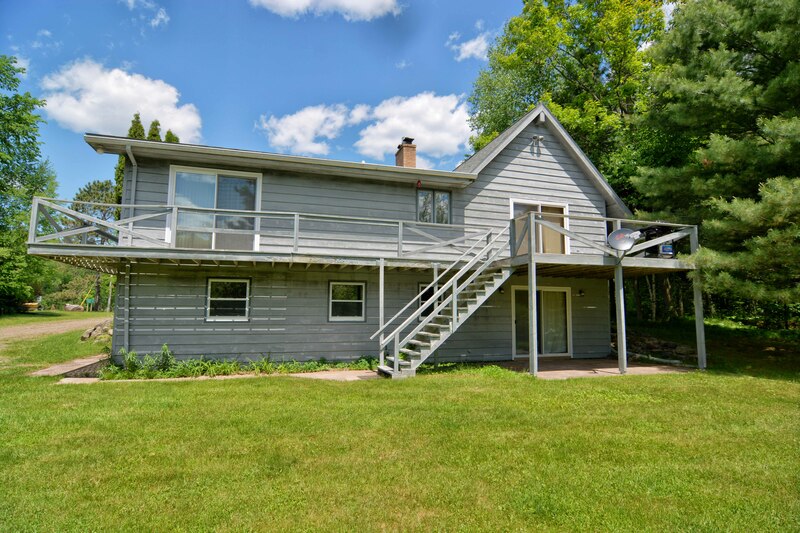 The 1,700 square foot home has open living spaces with 3 main floor bedrooms, living room and kitchen/dining area with walkout to wraparound deck overlooking the river. 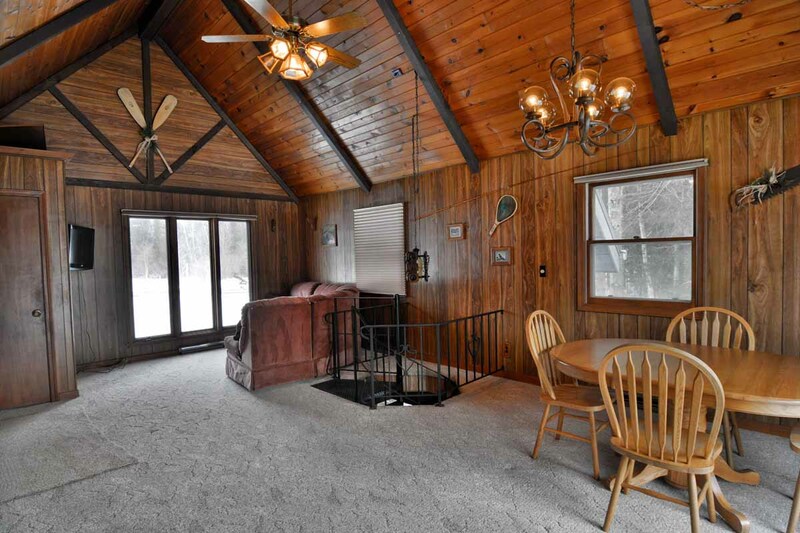 Connected by a metal spiral staircase, the walkout lower level has a stone fireplace (gas), futon couch, wet bar, washer/dryer and second full bath. 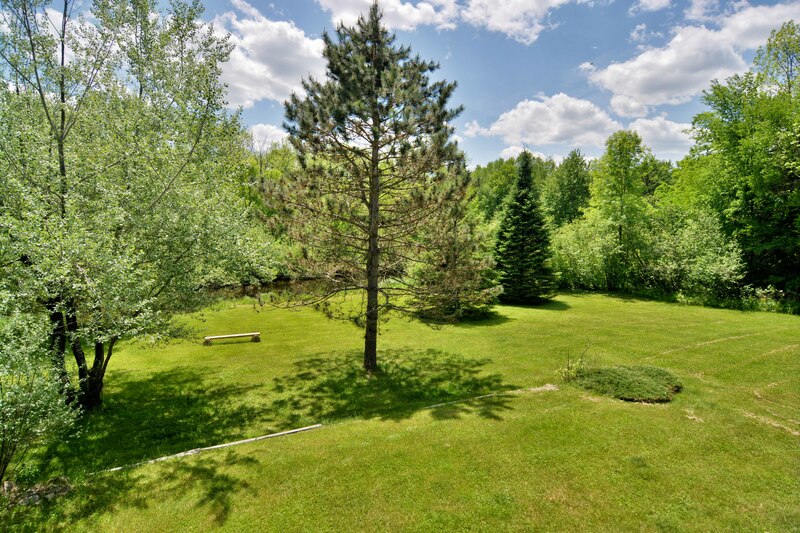 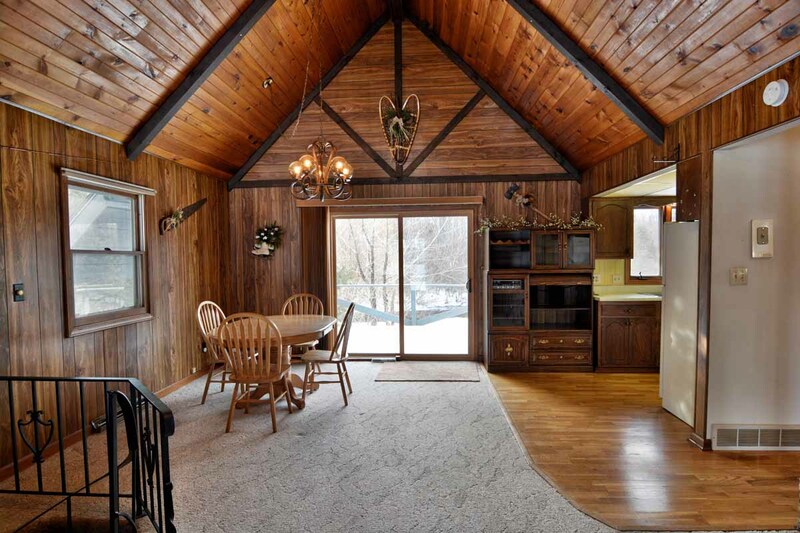 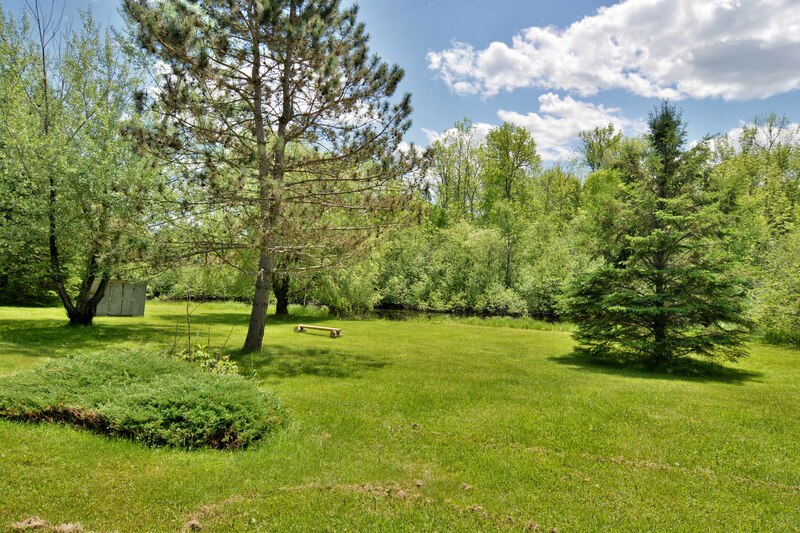 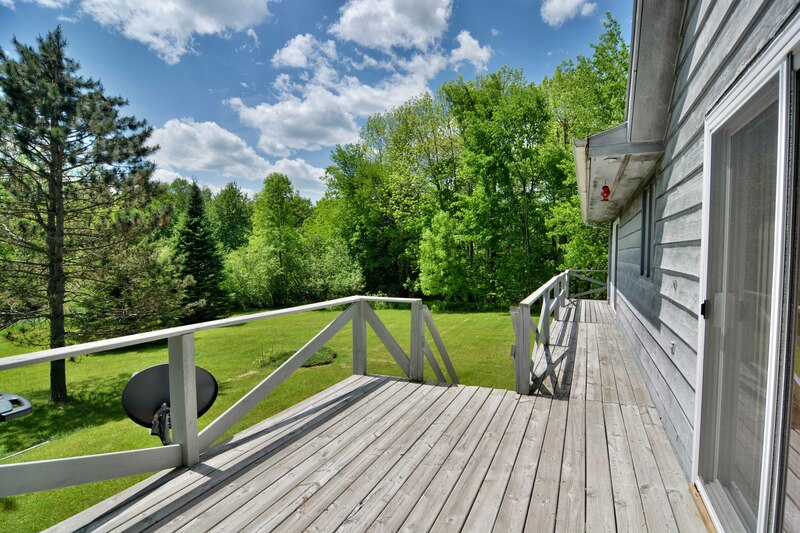 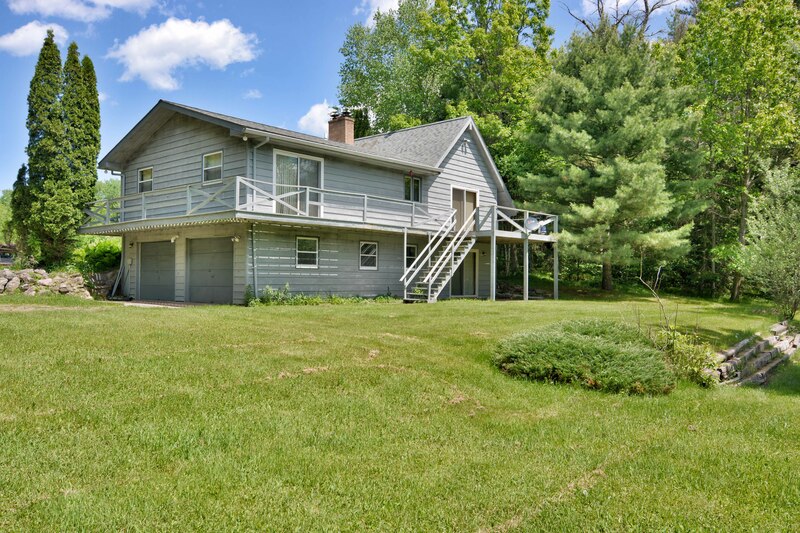 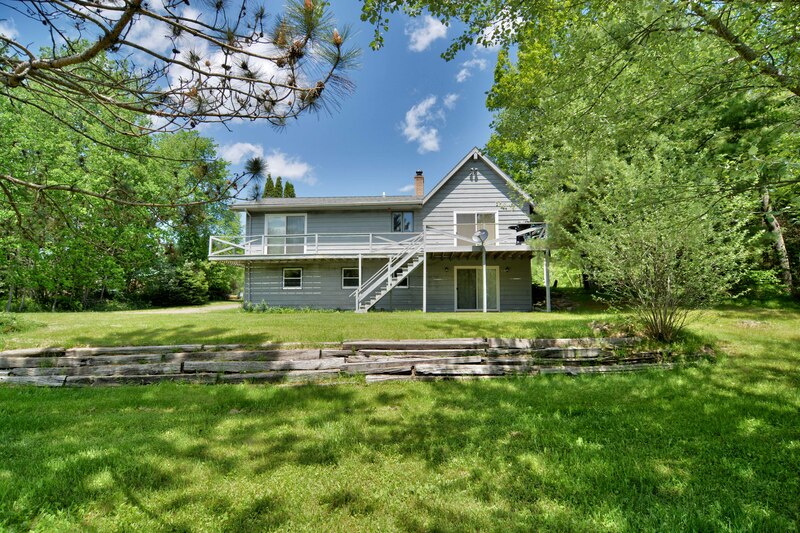 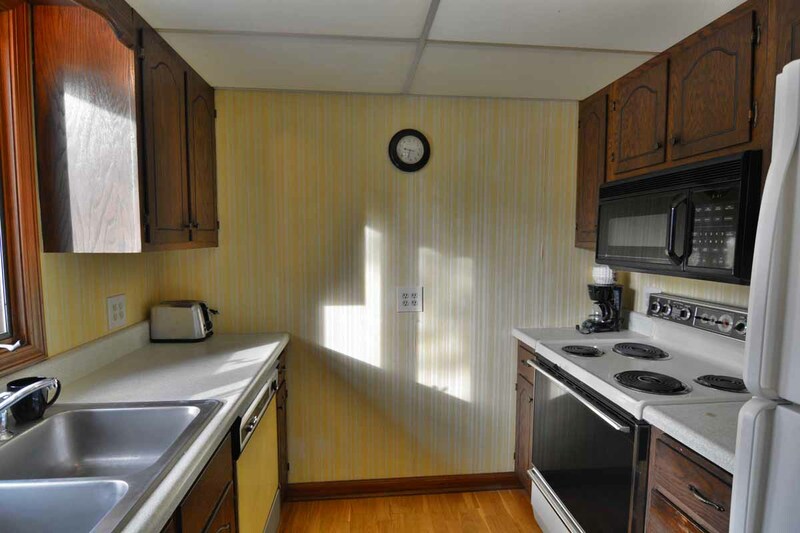 The rental home sits on 350 feet of the West Fork of the Chippewa River and has a large, south-facing back yard. 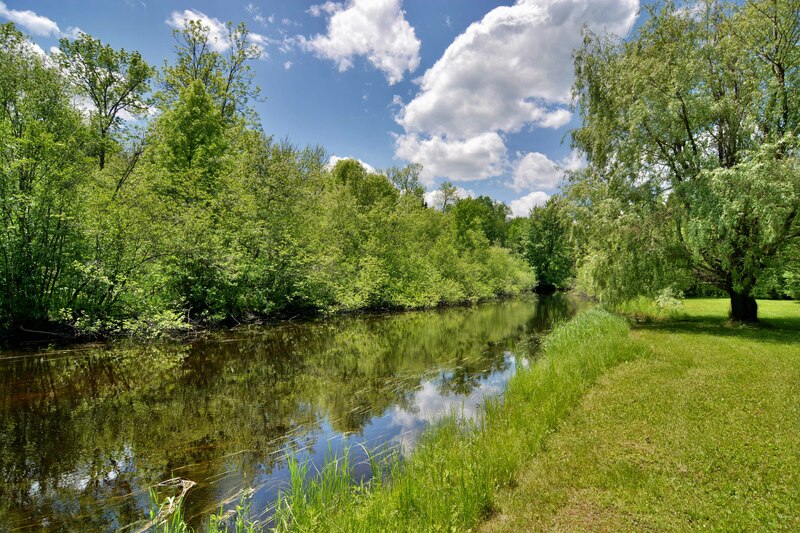 The river is navigable by kayak or canoe, and you can paddle right into Upper Clam Lake. 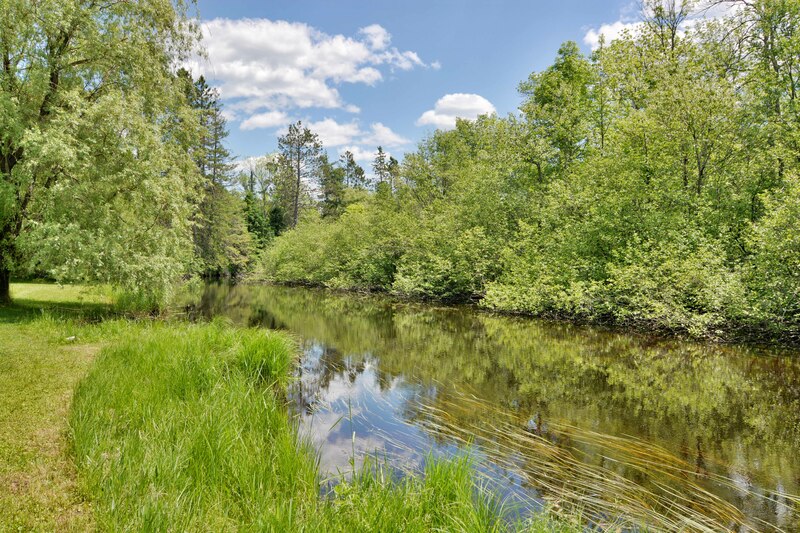 There are numerous lakes nearby, miles of great trails and thousands of acres of National Forest to explore. 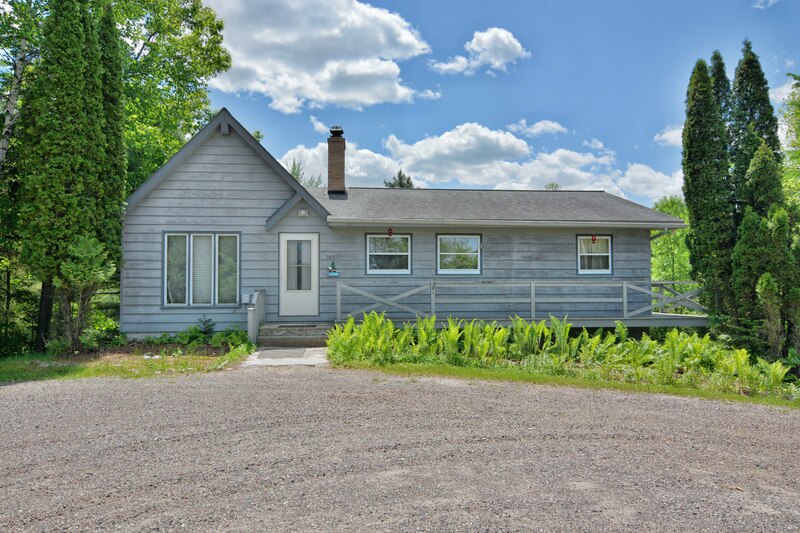 You’ll have direct trail access to a groomed snowmobile trail right out your front door (plenty of room for trailers) and you’re only 3 blocks from a gas station and grocery store, and within easy walking distance of Clam Lake’s restaurants, taverns and shops. 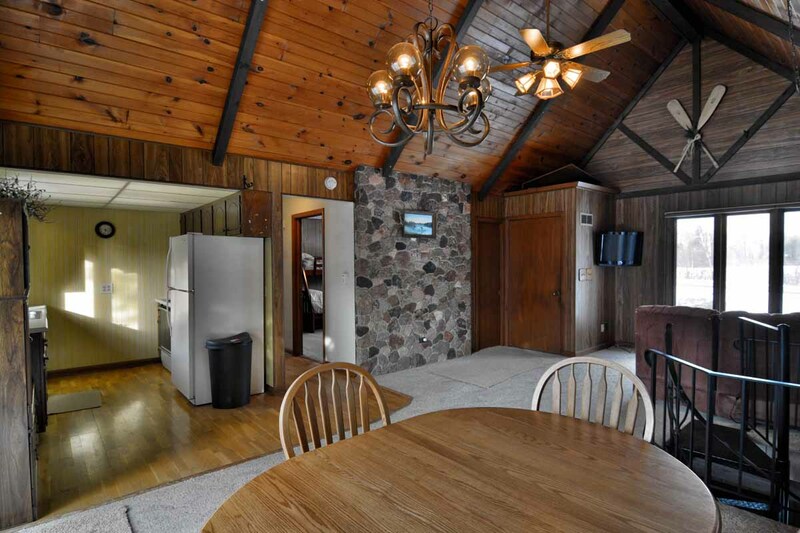 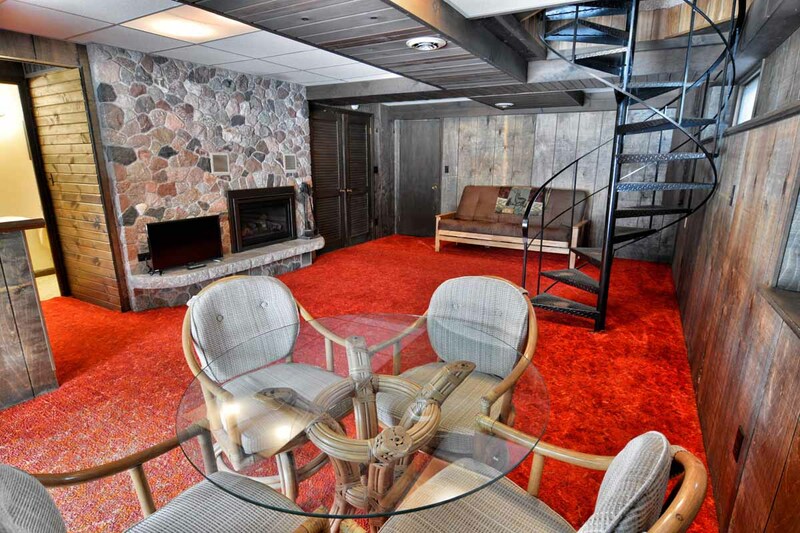 Giddy up and reserve the Pony Express Lodge today and getaway to the Northwoods!